Every day we go to work and strive for something better, life’s treasures. We work to pay bills. We work to support loved ones. We work to save money. We work to pay mortgages or rent; pay car notes, purchase big and small ticket items; life luxuries, etc. We work for so many different reasons. Whether we want to go to work or not, we get up and we go to work and we do it every day over and over again. Some of us do it for years and years to retirement. During all this time we never stop to reflect what exactly is ‘work’ and how we should feel about work. Sometimes we like it, most of the times we don’t. But have we ever examined what we have been doing for years and how work affects us? The Dictionary says, “Work is an activity involving mental or physical effort done in order to achieve a purpose or result.” Have we ever really zoned into our purpose of working and the results it yield? “There is benefit in every kind of hard work”, mentioned at Proverbs 14:23. We receive benefits from the hard work of God’s hands. -ref. Psalm 19:1. Work not only fulfills our basic needs of clothing and hunger, it also feeds into our talents, skills and helps us to gain knowledge. Work gives good physical health and wellbeing. Working helps us to manage stress levels and supports good mental health. I actually enjoy working; feeling a sense of accomplishment as I improve a situation. That situation can involve me or someone/something else. The gratification of feeling anew, fresh, exalted to spiritual growth; helping others reach their goals with minimal setbacks. I agree with author Katherine Mansfield, “To work—to work! It is such infinite delight to know that we still have the best things to do.” There is always better things ahead to accomplish and enjoyment to be had from hard work. Hard work is a gift of God. -ref. Ecclesiastes 3:13. Work for me is bigger than driving into a 9-5. Work keeps my senses sharp and leads me to want to achieve more. Each achievement brings a personal drive that is unmatched. Dr. Ash Nadkarni states, “Whenever a person gains a sense of autonomy, it significantly reduces feelings of helplessness.” Being self-sufficient aides in life’s development, the sky is the limit. Progressing to the next level introduces so many opportunities. Ecclesiastes 3:22 offers words of wisdom, “There is nothing better than for a man to find enjoyment in his work, because that is his reward.” When we work hard at anything we definitely enjoy the labor of our work. Instead of going to physical work for the pay to sponsor life’s treasures, let’s go to spiritual work for the blessings. “Whatever you are doing, work at it whole-souled as for Jehovah, and not for men” – Colossians 3:23. Getting caught in the “invisible money” trap can discourage us in so many ways. It is easy to overspend when we don’t see money leaving our wallets. Using credit and debit cards remove our common sense radars we usually experience when paying with cash. With cash we hesitate to depart from our cold cash leaving our hands. We think, “Is this purchase really necessary?” Often, we’ll leave it right in the store. On the other hand, using credit and/or debit cards allure us to shop shop shop. We start internet shopping, which is quick and easy. Well, there’s always hope in improving our spending money habits. We just have to be open to do things differently, especially when there is a relationship involved. 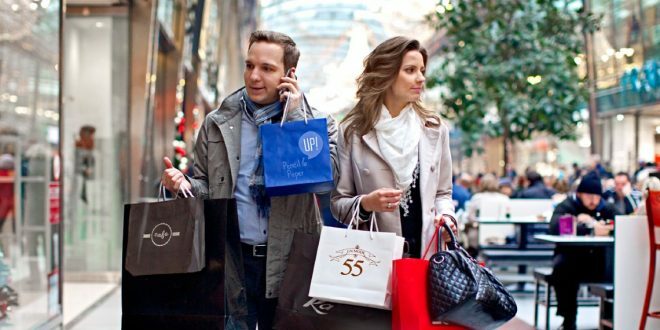 Couples can be lured into credit spending and have problems with overspending. 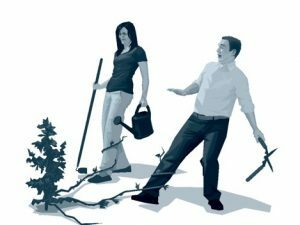 Read here for what you can do to resolve to cooperate; set up a budget; rethink your view on possessions; make adjustments. Something so obvious that’s often overlooked, properly cleaning earbuds. You know we always pop them in our ears at every opportunity. We never think that they actually should to be cleaned often. Yes, they should. By not properly cleaning our buds we invite into our ears dirt and nasty germs from our pockets, desks, cars, bags, fingertips, etc. Our earbuds come in contact with various pathogens (a bacterium, virus, or other microorganism that can cause disease). When we use earbuds we trap ear wax in our ears causing ear wax build up that may result in ear infections and reduce hearing. I don’t share earbuds with anyone primarily because of hygiene conscientious. There always someone that takes their earbuds out their ears and motions for me to place them in my ears to “listen to this song” I stand there emotionless, not wanting to offend them by responding, “Keep your ear germs to yourself. Gross me out why don’t you.” I’m not the sharing type but I am guilty of not cleaning them regularly. So a girl has to get with the program and get to cleaning. Cleaning earbuds is as simple as using a clean cloth or tissue and a toothbrush. If there’s a lot of dirt or dust in the metal part of earbuds, brush with a dry toothbrush to remove the dust. 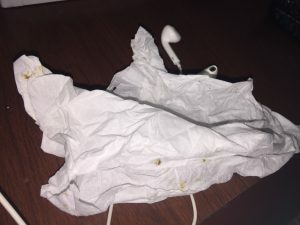 Keeping my earbuds clean will reduce the risk of bacteria, viruses and other pathogens from being introduced into my ears and will prevent excess ear wax buildup, ear infections and impacted ear wax. Not to mention I want to get the best audio performance from my earbuds because a small amount of debris causes the sound to fade or altogether cut out. I also keep my earbuds clean to reduce risk of impaired hearing. I’m just being real about the ‘obvious’ that is not so obvious. Edmund Pezalla, M.D., M. P. H., poetically states, “if you can run, run. If you can bike, bike. If you can walk, walk. Whatever activity you can handle, it’s important to move your body and engage your mind.” Let’s commit to some sort of regular exercise activity that engages our minds. “A sound mind in a sound body” is based on a quotation by the Greek philosopher Thales (624-546 BC). Improving physical health will also improve mental health. Daily habits to keep moving like exercise does not only control weight but it may also prevent health issues that affect our minds & diseases that attack our bodies. 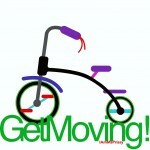 We should place every effort into keep moving so we can be healthier physically & mentally. Staying active also improves our mood and definitely boost our energy. Our bodies crave being active. We are meant to move so why fight against such a natural occurrence? Think about how we feel during exercise. 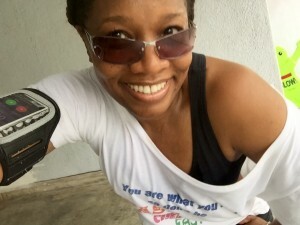 “My creative juices flow during my runs. 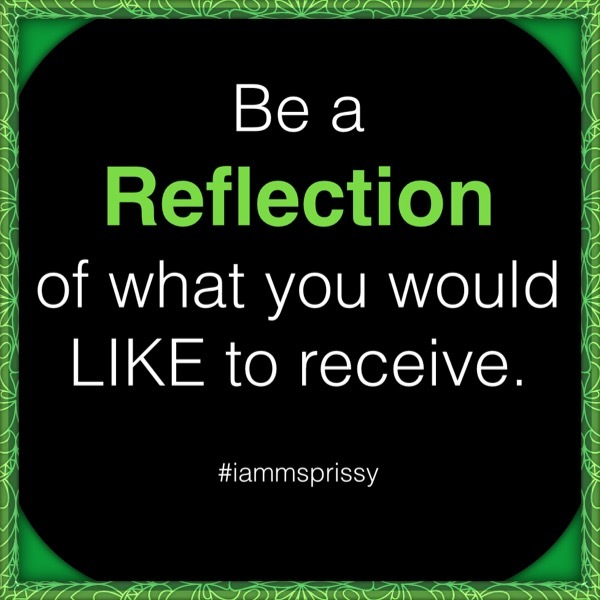 I am more energized and excited about the rest of my day.” -IAmMsPrissy™. Staying active improves the quality of our lives. Armand Tecco, M.Ed. says, “If you don’t use your body you will surely lose it.” So why take a chance to lose a body that does not belong to us; that was bought with a price. “Do you not know that your body is the temple of the Holy Spirit within you, which you have from God?” -1 Corinthians 6:19. 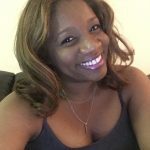 So I am working towards a personal goal to regularly keep it moving that leads to a healthier body and a spiritually sound mind. Please join and make the commitment. Be a Reflection of What You Would Like to Receive. I want to receive a healthier mind; therefore, I must mirror healthier actions. This morning I saw myself running no less than 6 miles. Guess what? I ran farther than 6. 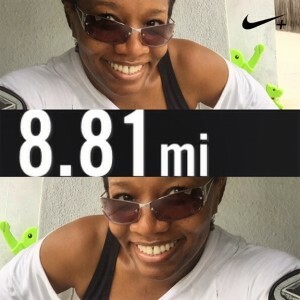 I ran 8.81 miles with nikeplusrunning tracking my every step. Running is my therapy. My mind gets uncluttered and my creative juices start to flow as the wind hit my face and the sweat start to pour. Don’t get it twisted, the first 1 ½ half mile was a beast. My legs felt heavy and I felt awkward. I felt like turning around and going back home. Yet, I did not stop. I did not turn around. I kept going because I have been doing this long enough to know that those feelings were normal and they were going to pass. 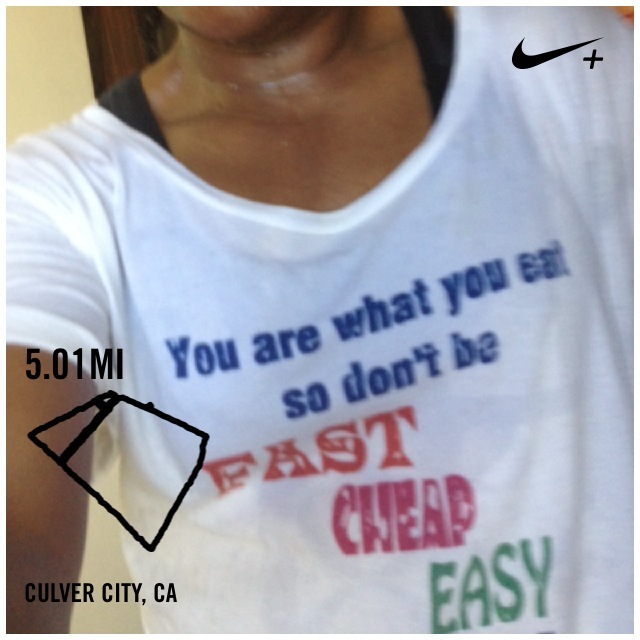 I reflected on how I normally feel when I complete my runs. 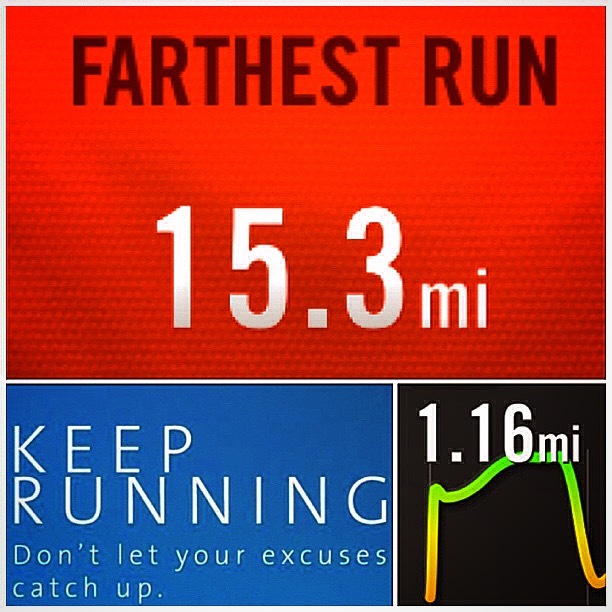 I challenged myself to go one more mile, then one more mile, then another mile. I noticed that my legs started to feel lighter. My balance was right on time. This happened because I followed my basic rules of running: chest and shoulders up, back straight, stomach in, elbows to my sides, arms swung back and forth while I kept my elbows close to my waist. My body was relaxed and my palms were open and facing inward. I imagined my body image to make sure I was following these rules. I looked at my reflection as I passed glass windows to make sure that my body was upright. I landed on the balls of my feet every step. Oh yes, there is an art to my runs. I don’t play around. 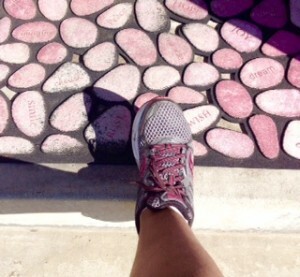 So when it is all said and done, I was a reflection of what I wanted to receive this morning: a healthy complete run. Even when I don’t feel like it I DO. So this morning I didn’t give in to laziness. 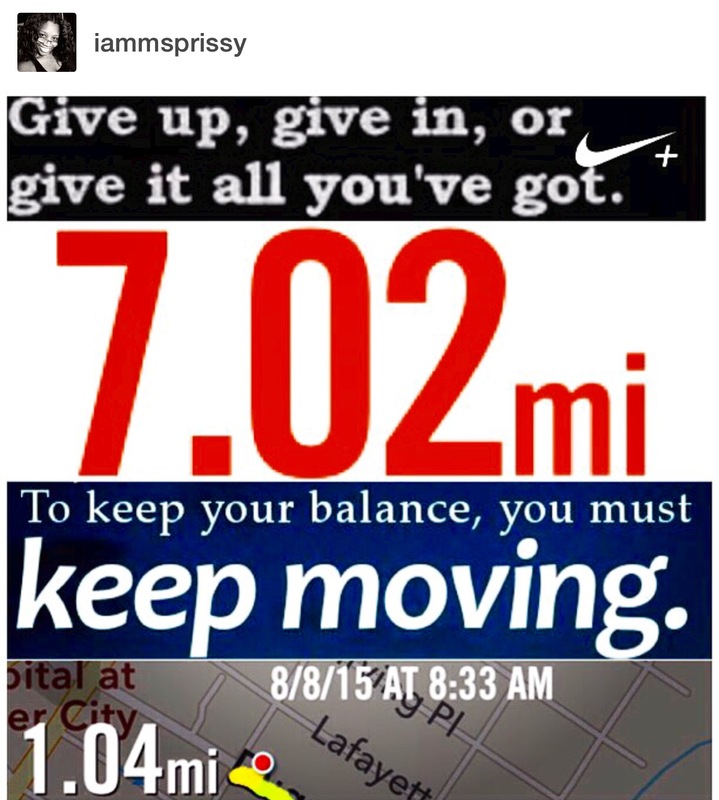 I gave it all I had and ran 7.02 miles. I kept it moving with a 1.04 mile cool down walk. Always do SOMETHING instead of nothing. Stop picking others a part. Being snooty is soooo old. Get over yourself. Be humble, appreciative, respectful, gracious, and loyal. To have compassion is a good feeling and being a LOVING human being is a good look. Stop being a follower of worldly circumstances and grab some morals. Love and keep it moving. 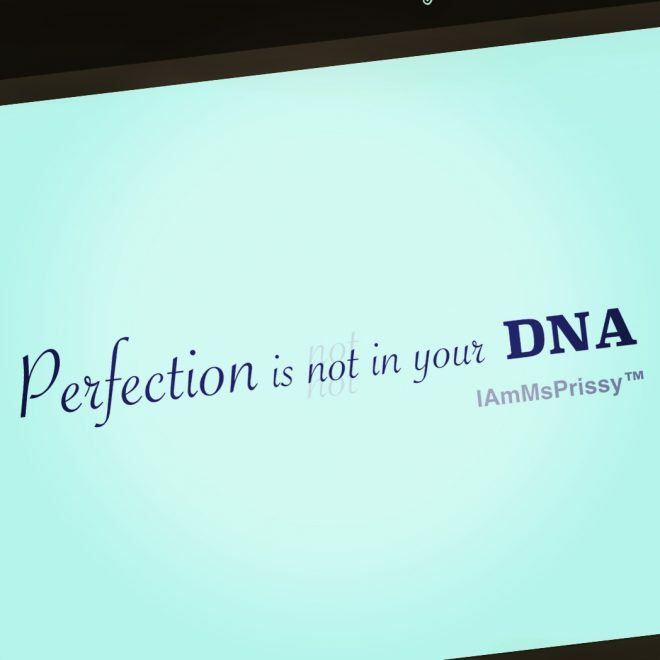 Stop running people over in pursuit of perfection. 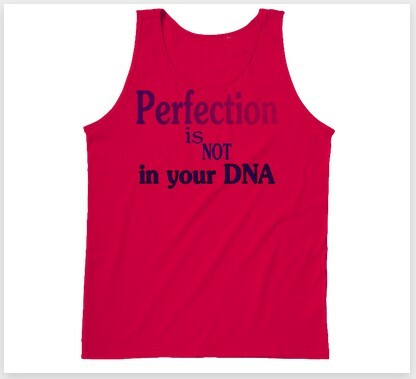 Perfection is NOT in your DNA. There’s nothing like building a little bank as you get healthier. 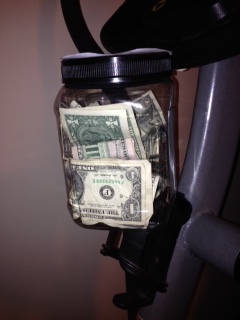 I pay myself $1 each time I exercise. Paying myself motivates me to stay active. My determination to become healthier and persistently push myself to exercise pays off. It inspires me to “Keep it Moving”. It is beneficial to find various ways to become healthy motivated. Excuses are a part of life. Yet if we continue to make excuses for not becoming healthier, not thinking more positive, not moving toward living a more productive lifestyle, we will become complacent to do the same things over and over again. We will subconsciously stump our growth. So today I decided to not let any excuse catch up with me and I just ran. I ran 15.36 miles with 1.16 mile cool down walk. BOOM…leave excuses behind and allow “Life to Ignite Growth”. 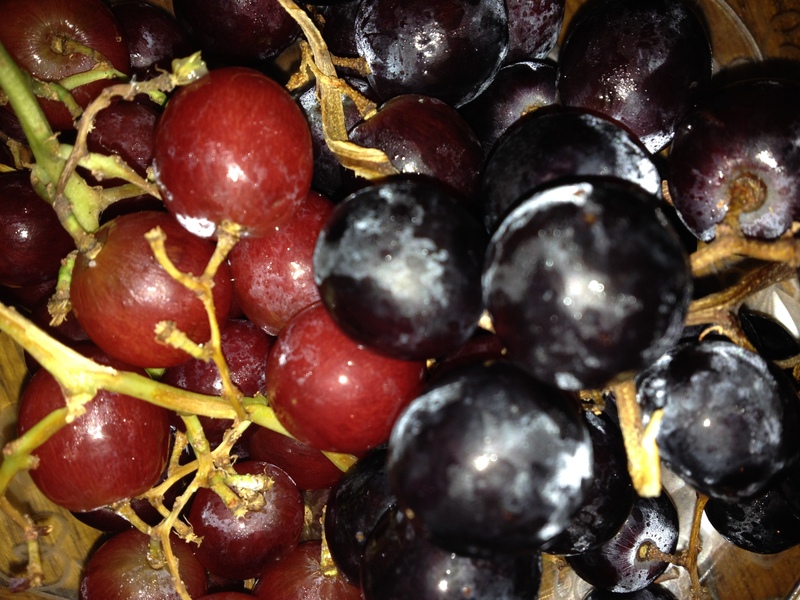 It felt good to finish my daily run and it felt even better to focus on my after run nutrition. 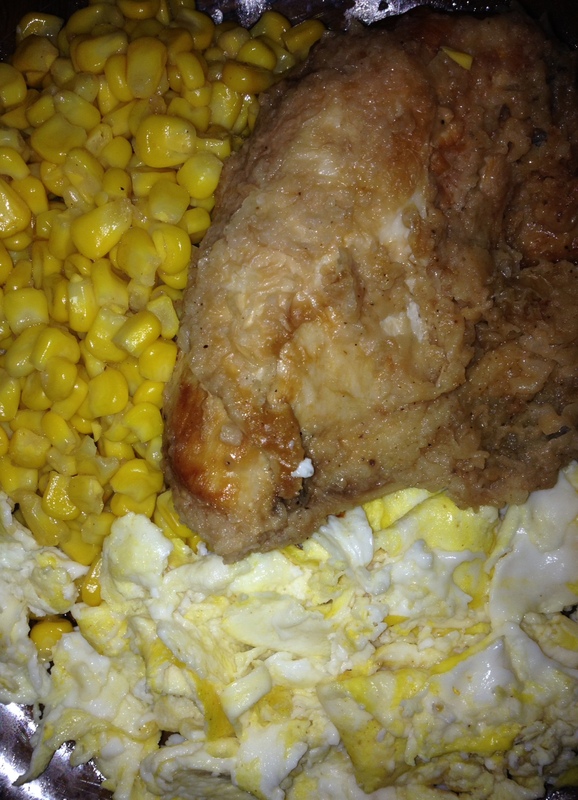 I ate carbohydrates and protein foods within 45 minutes after my run. This reloaded my muscles with the basic nutrients and fluids I lost during my run. I wanted to speed up my recovery time and be ready for my next cardio exercise. Always remember HEALthy nutrition should always be included with exercise.